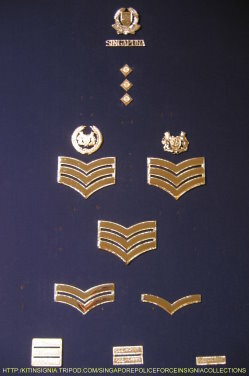 Singapore Police Sub - Inspector ranks were pinned on both ends of the uniform collar. 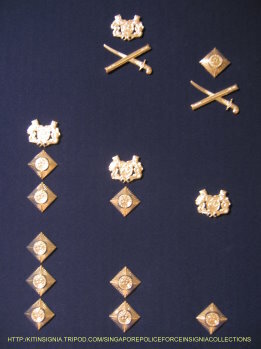 Two Maltese Cross on each end of the collar for Colonial SPF & PNS. Whereas for SPF SI Pips which had three SI pips in a row on both ends of the collar. In the Singapore Police Gurkhas Contingent, (r), (s) & (t) are also known as service bar. 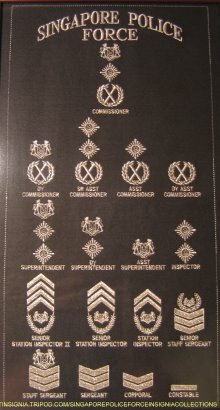 For every GC junior officers whom were not promoted to the rank of Lance Corporal. A service bar will be awarded for every five years of service. Introduce of new rank, Senior Staff Sergeant and removal the rank of Lance Corporal. 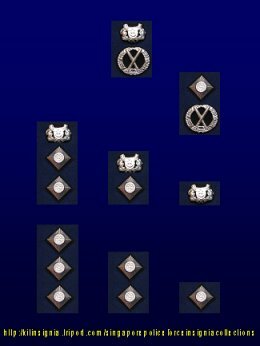 Two new ranks of SSI2 & SSI were introduced. 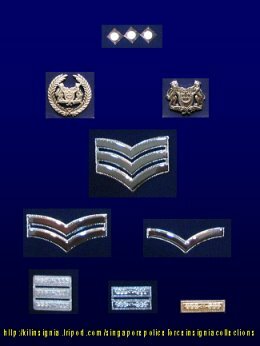 In the year 2003, the rank of Police Constable was removed. 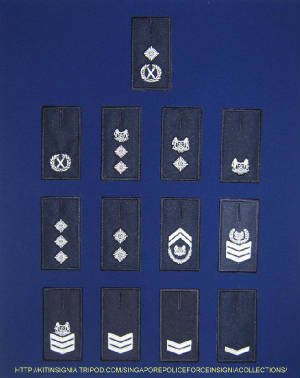 These pocket ranks are current exclusive to Singapore Police Gurkha Contingent. The ranks are buttoned on the right side of their No. 4 combat uniforms.